In my last post Apache Solr Enterprise Search we saw how Solr can help bring modern search capabilities to your business applications. In this post we are going to explain how to install Solr locally on your computer prior to using its enterprise search features within Apache OFBiz. 1. Download the binary distribution (.zip or .tgz) and extract it. 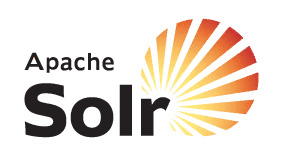 Download Apache Solr 4.7.2 from here. 2. Go to tbe Solr directory and start Solr on the command line. 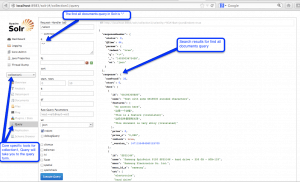 Use the built in Solr example to test it. In the command examples provided solr-4.7.2 is the home directory of Solr. 3. As you see from the following log messages at or near the bottom, you now have a running version of Solr 4.7.2. 4. To verify Solr started correctly direct your browser to the Solr administration page at http://localhost:8983/solr. You should see the administration page below. You have now completed the installation. It is easy because Solr is self-contained in a single archive file, all you need to do is extract it. Behind the scenes, start.jar launched the java web server Jetty, listening on port 8983. Solr comes with an easy to setup example core, a core is composed of a set of configuration files, Lucene index files, and Solr’s transaction log. 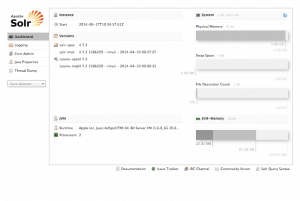 One Solr server running in Jetty can host multiple cores. Go to the Core Selector and select collection1. Now we can have some fun, you can start playing with the example core. You can learn about the Solr Query Syntax by clicking the link in the footer of the Solr admin page or you can directly hit Solr Query Syntax. Solr Documentation and Tutorials can be accessed from the project page. There will be another post soon on how to use the Solr features with OFBiz. We will be seeing it happening with code with example.